Cusk are a fun fish but man do they stink! I was greeted by the first stench only minutes after the sun set. We had our spread of tip ups set out spanning depths from 20-60 FOW. The set up was large sinkers a foot above size 4 hooks baited with cut shiners. One key feature that we noted while setting up, other than the steep drop was a small finger that cut through part of the spread. Last year, the bite was slow but we were earlier in the season this time around and were hopeful that things would be just getting started. The temperature was the only drawback to the night. With temps below 0, constantly wet hands made it tough to keep moving. Fortunately, the truck was close so we were able to hop in when we needed to warm up. The headlights also illuminated the reflective tape on the flags that tripped! It was pretty much non stop action until we left at 11pm. While many of the fish we caught tripped the flags, probably a dozen didn’t. 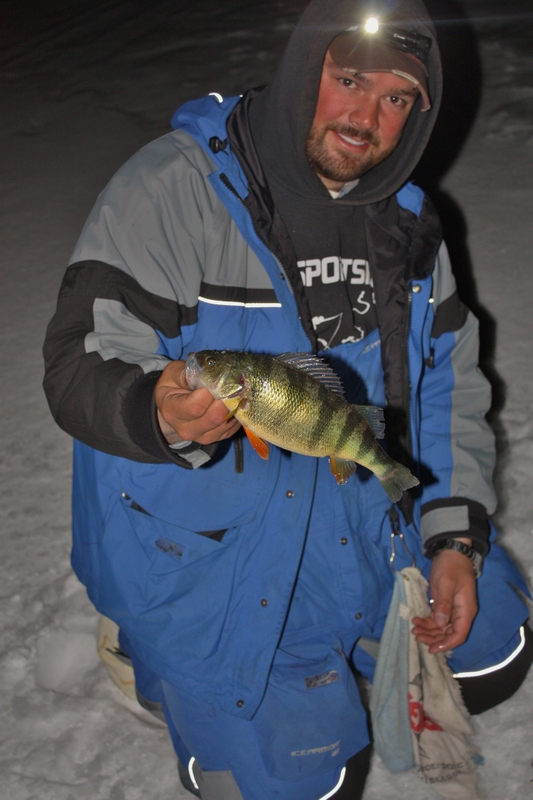 The fish got bigger as the night went on but with 6 keepers on the ice and nearly 20 others released, we called it a night. Glad the bait dealer talked me into the extra bait! We were set up before dark with our spread across a range that covered 17-57 feet of water. Having never tried this before, our best bet was to have a variety of depths covered and zero in if we had enough action. The first hour produced nothing at all so we decided to go chat with a buddy back from where we drove on at. After a short chat, we made our way back to check things out. Our initial inspection revealed no flags but we knew at times the cusk don’t trip the flags. Many times they will eat the bait and stay put. 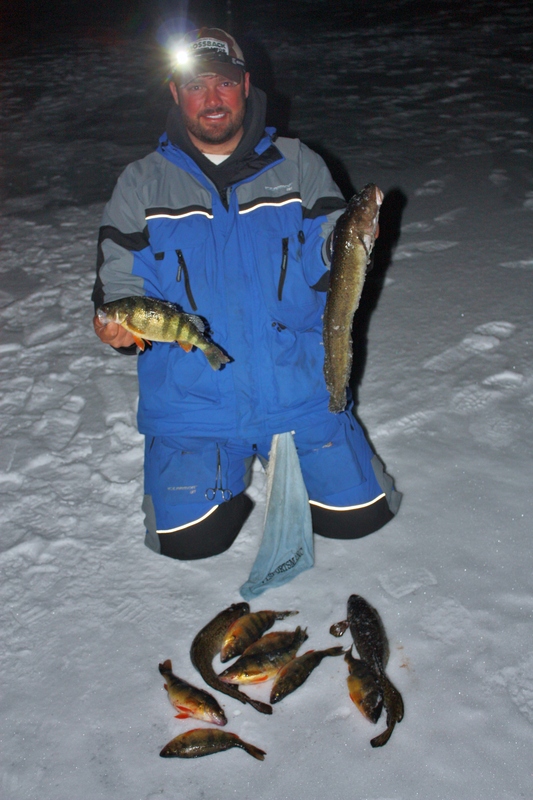 The first two flags were still baited but had no fish. As we turned around to head to the third, we found that one of our flags on the other side of the spread had sprung. 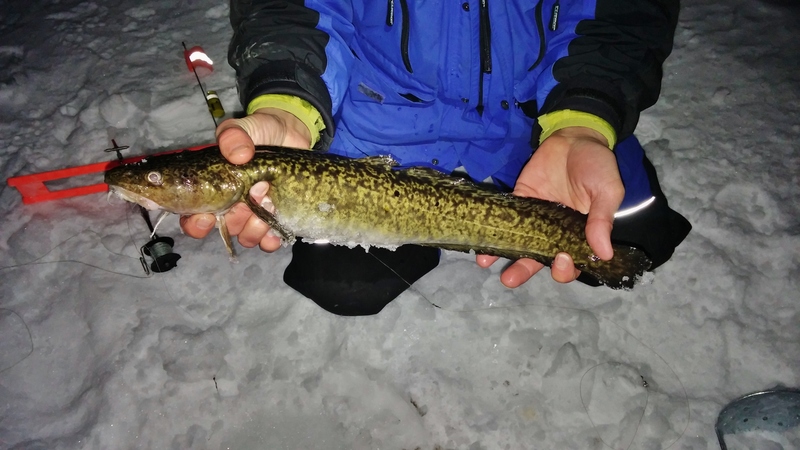 The flag was deep and yielded a 20″ cusk for us. 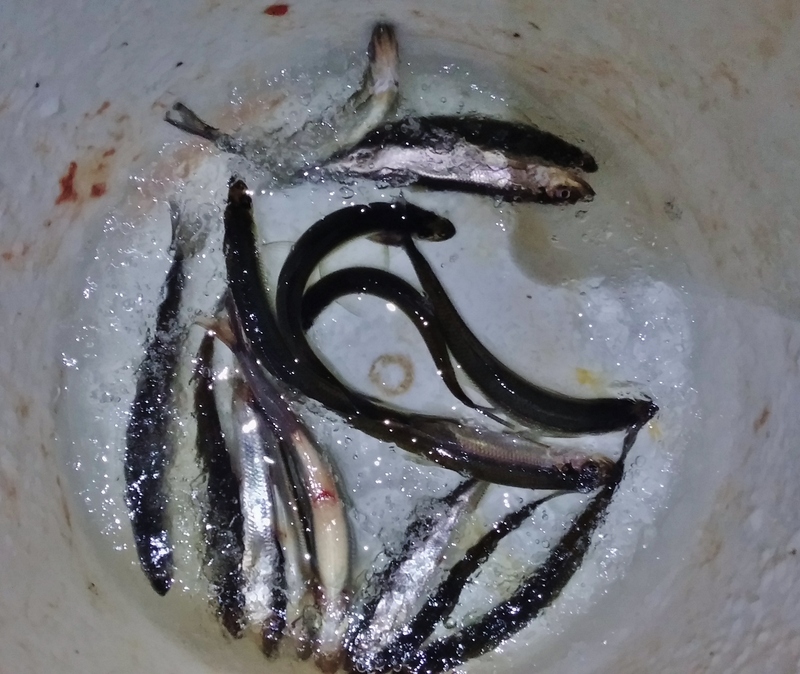 The rest of the flags were empty but were still baited so afterwards we took a break to let them soak a while longer. During our wait, about 2 hours after dark, our buddy came over to say bye. He was going home fishless but informed us that most of his flags came in about 10 feet of water. We figured that we had nothing to lose so we took a few of the redundant depth flags and moved them in. With the change in flag locations came a flurry of flags. The bad part was that we couldn’t hook them. 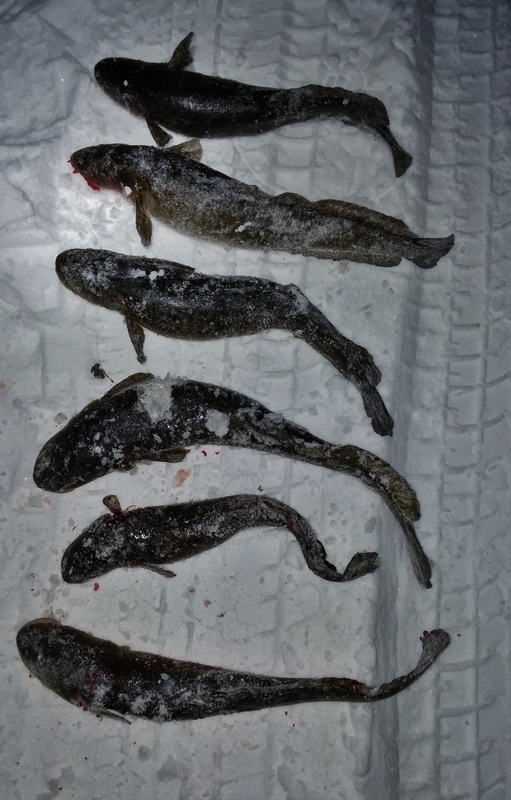 As the night progressed, so did the numbers of fish on the ice. 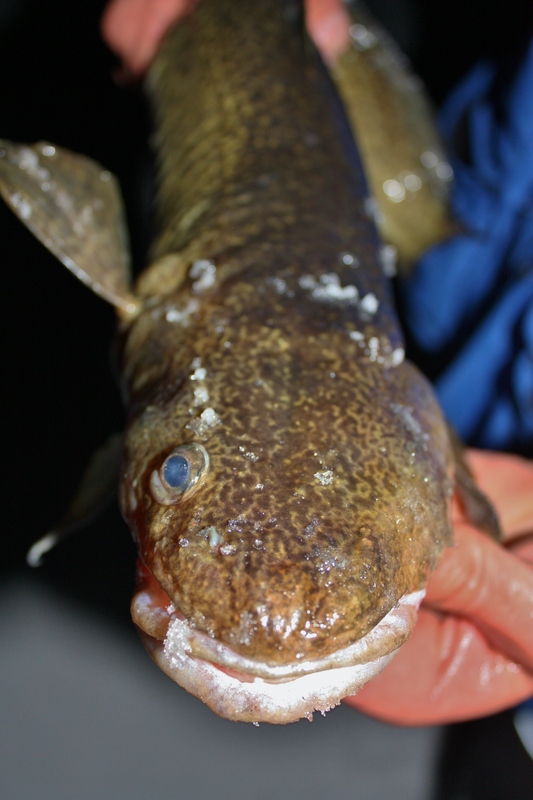 We found that most of the cusk came out of deep water. 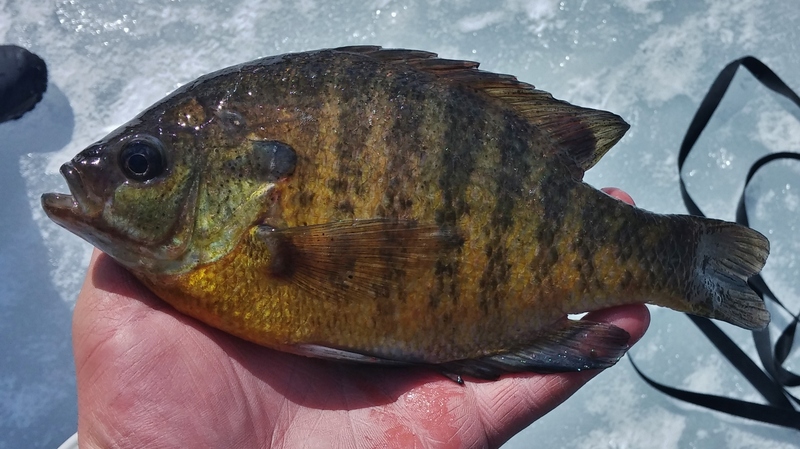 Mainly 45-57 feet and the fish that were firing the flags in shallow were perch. Nice ones too! 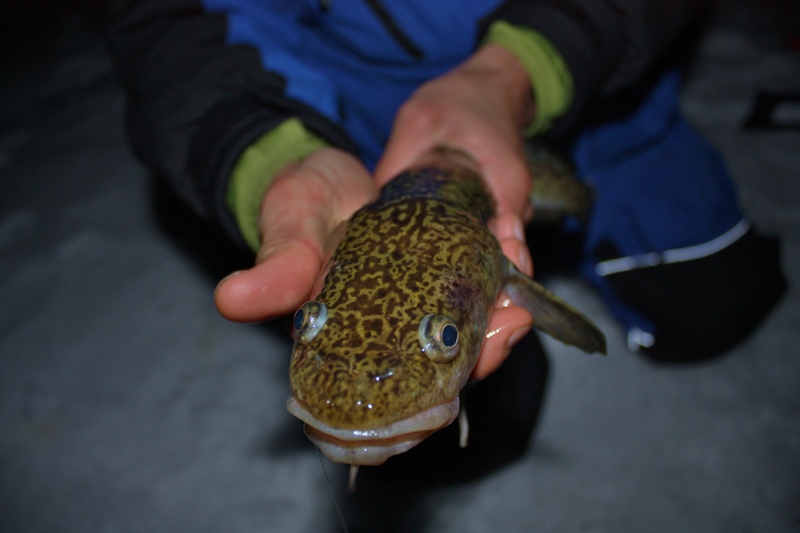 Check out Nighttime Cusk Fishing In Vermont on our youtube page for more action!